I am always on the hunt for cute vintage dolls! 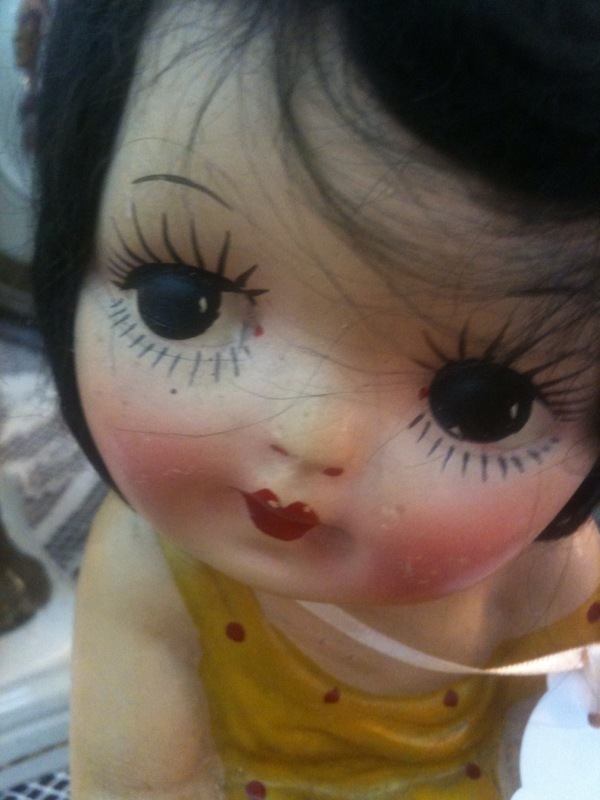 I love when they have big eyes like this beauty at the flea market. I didn't buy her she was $200. 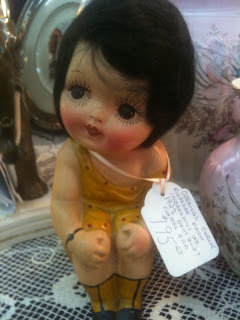 ooooh that is a sweet looking doll!! Could you please email me your phone number. We need to get together soon! Oh yeah! the email address right!